Coolsculpting in Boise's Best Medical Spa. Non Invasive Fat Removal by freezing fat cells. No downtime, pain free, no anesthetic. Featured on The Doctors, Dr. Oz and other national shows. Different than SmartLipo and LipoSuction. See Dr. Michael Bailey, Cosmetic Surgeon, in our building for SmartLipo and LipoSuction. 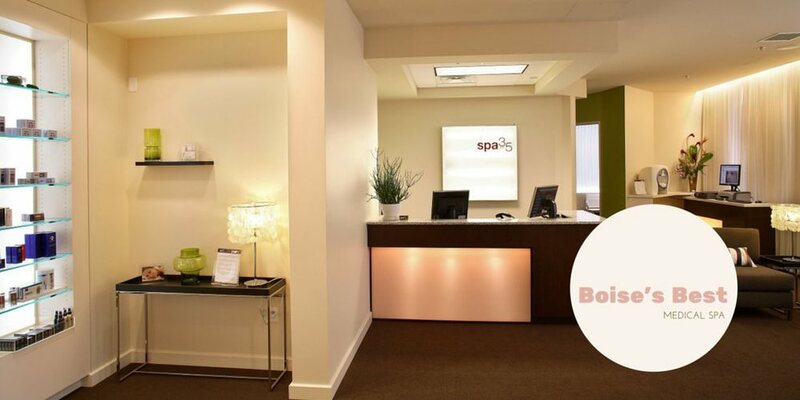 Spa 35 is a Medical Spa with Expertise in CoolSculpting (compare to SmartLipo), IPL (Intense-Pulsed-Light), Laser Hair Removal, Botox, Juvederm, Voluma, Obagi Skin Care, in Boise Meridian Eagle Sun Valley Southeast Downtown Idaho, Spa Thirty Five. Say goodbye to muffin tops, love handles and belly fat ("pooch"). Remove fat non-invasively (no knives or anesthesia) with no downtime. New York Dermatologist Dr. Whitney Bowe explains how CoolSculpting works to help you eliminate fat without surgery, needles or downtime. A good candidate for the CoolSculpting procedure is anyone who is looking to target unwanted fat that is often times resistant to diet and exercise. CoolSculpting® is the coolest, most innovative, non-surgical way to lose those annoying bumps and bulges of stubborn fat. This revolutionary technology removes targeted fat cells in the treatment area to produce a noticeable, natural-looking reduction in fat bulges. CoolSculpting on CBS News. Hundreds of thousands of people undergo liposuction each year, but this relatively new treatment claims to slim you down half an inch after an hour of treatment. Vinita Nair reports on how effectively this procedure works. During your procedure, you may choose to read, check email, or even take a nap. The CoolSculpting fat freezing procedure is completely non-surgical, so you can typically return to work and normal activities immediately. You will like what you see. In the weeks and months following your procedure, your body naturally processes the fat and eliminates these dead cells. Once the treated fat cells are gone, they're gone for good. QUESTION: Can Men lose fat from CoolSculpting? ANSWER: Men get the same great fat removal results as women. It is perfect for the sides of the abdomen above the waist line, and the belly areas. Some men have a tendency to develop fatty deposits in their chest (Gynecomastia) and CoolSculpting is a wonderful non-invasive treatment for this condition.